I went through some training from Russell Brunson on the Seven Phases of a Marketing Lead that I thought was well worth sharing with my readers! Russell Brunson’s DotComSecrets Book is one of the most useful Business Building Books I have ever read. 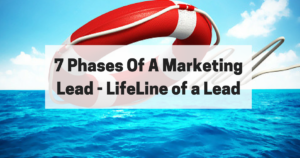 Understanding the lifeline of the lead is critical if your funnels are going to be at their best. So, I’m going to give you a brief overview of these seven Phases, and I would recommend that you get his DotComSecrets book for FREE plus shipping. With the book comes a membership site with some excellent training modules all for FREE! Understanding where your traffic is coming from is essential. You need to know whether you are going to be dealing with Hot, Warm, or Cold Traffic. Each one of these visitors has different pain points or triggers that you need to address. If you don’t understand what type of traffic you are going to get or are looking for you will most likely miss the mark. Your pre-frame bridge is probably the most important part of your funnel. Have you ever been a guest speaker at an event and the person introducing does a terrible job? If effects you whole presentation after that. That introduction is you Pre-Frame, and it has to be amazing! How you pre-frame the rest of your funnel will make all the difference in the results. Another great example is the movie “Cliff Hanger” with Sylvester Stallone. The movie starts out with his best friends wife falling to her death on a mountain climb and then goes from there. You are so captivated by the opening scene that you have to watch the rest of the movie. Think of it as the door people walk through before they get to you! Your Traffic Temperature will determine what kind of Pre-Frame you should use. Qualifying your Subscribers is how you determine where they are at in this whole process. Using a Squeeze page is the first step in the qualification process. You need to find out who is willing to give you their email address so you know how qualified they are to moving on. The squeeze page or Landing page is where this happens. This step is where you weed out the looky-loos. Once you qualify who you buyers are you have a group of people who have raised their hand and identified they are a buyer. From there you can start the marketing process of more products. Finding out who your Buyers In Heat are is key. These are the buyers that are what we call hyperactive buyers. They are in pain now and need that pain relieved NOW! Buyers in heat have to be handled differently than other buyers. These first five steps are Point-Of-Sale phases the next two phases are the relationship building phases. The first five steps are like dating. Those steps are used to find out who you are going to move forward with. You can do this with webinars, continuity programs, etc. This step is where you enter the Marriage phase. You have to change the selling environment if you want to move to the high-end coaching programs. This step where you develop that relationship that people just want to learn everything they can from YOU! This step is typically handled by phone contact, not email. In conclusion, once you understand the LifeLine of a Lead your funnels and your business will be much more profitable. Also, if you use this link, you can get Russell’s DotComSecret book for FREE plus shipping. 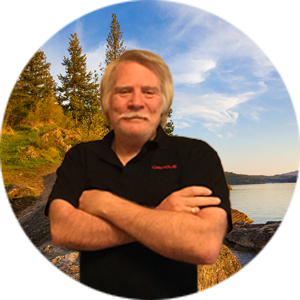 Would love to know how I can help you and how your online marketing is progressing. 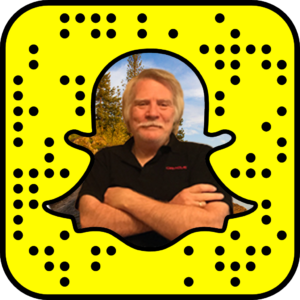 Good stuff Ron, you broke it down and made it super simple to understand the phases of marketing leads. Thanks for sharing these steps Ron. It’s so important to remember that obtaining a lead or making a sale is never the end point of the relationship!